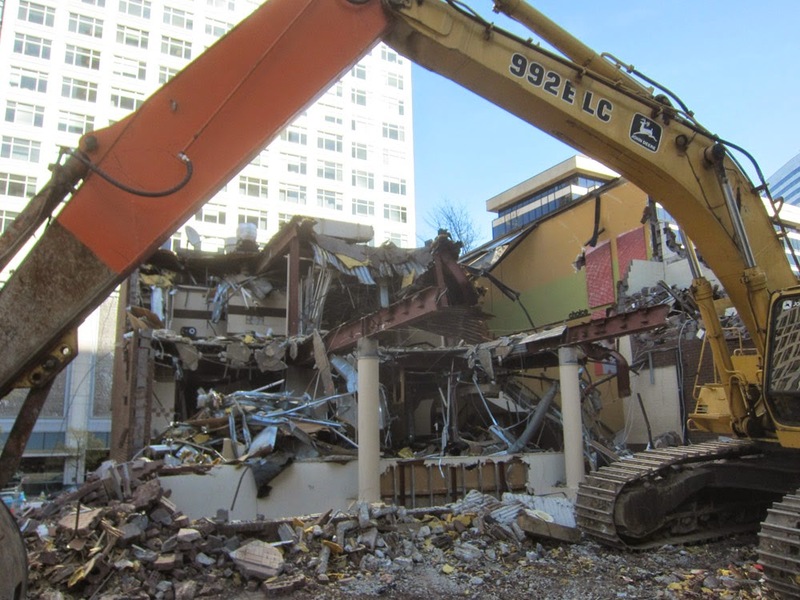 Rosslyn's downtown McDonald's with its golden arches has been demolished. The site, just across from the Rosslyn metro station, will be part of the new Central Place development. If you're missing the McDonald's, try walking just a few blocks up Wilson Blvd to Ben's Chili Bowl. While you're walking to Ben's, be sure to take a look at Miracles' window display.